Surrounding of Split is one of the most popular regions in Croatia for all sailors. You can charter a yacht from Split, Trogir, Kastela, Seget, Baska Voda or Makarska. All those marinas are very close to itself, so you can visit all of them during 1-week cruise. Chartering yachts in Split, you will be able to visit Hvar Island, stay in the capitol of the island with the same name, climb there on the hill and visit a castle and restaurants around the bay. It is for sure a must see point when sailing in region of Split. Then we recommend also to sail to Korcula city, which is called a “small” Dubrovnik, and some enthusiast call her a pearl of Dubrovnik. Narrow streets, friendly people and costy atmosphere makes this place really magical. Do not forget to reserve a place in marina for your yacht, because this harbor is really small and there are hundreds of sailors who also want to see this beautiful Island. If you charter a yacht from Split, you should also go to the Brac Island with its natural cave mentioned on the UNESCO list and also sail to Vis, just to go around and rest in natural environment. All those attractions, as well as Lastovo, Mljet are just around the corner, so even if you have only a 1 week, for sure you will be able to visit them all. Small distances between islands, only few hours trip from one marina to another makes this region the best as well for family cruises, but also for your first visit in Croatia. 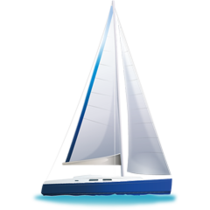 If you are looking for a bareboat rental generally in Croatia check Yacht charter Croatia and sail around the whole Dalmatia. We have a lot of different vessels around Adriatic Sea.